Command line concepts like dnx, dnu, and dnvm have been unified into a single "dotnet" driver. You can download .NET Core at http://dot.net and along with http://code.visualstudio.com you can get a web site up and running in 10 minutes on Windows, Mac, or many flavors of Linux. So, we've decided to update and refresh our Microsoft Virtual Academy. In fact, we've done three days of training. Introduction, Intermediate, and Cross-Platform and all three days are now available! We just released training for ASP.NET Core 1.0 Cross-Platform that shows Mac, Ubuntu, and Docker! 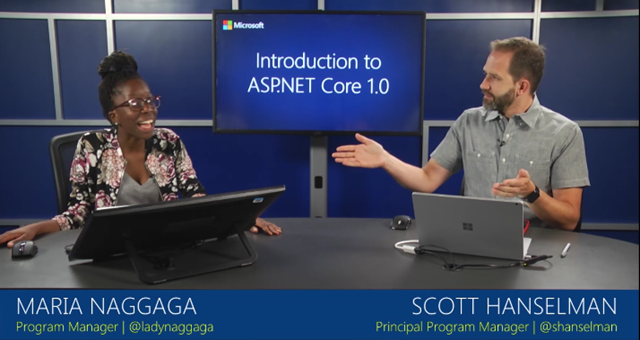 Head over to Microsoft Virtual Academy and watch our new, free "Introduction to ASP.NET Core 1.0." It's a great relaxed pace if you've been out of the game for a bit, or you're a seasoned .NET "Full" developer who has avoided learning .NET Core thus far. 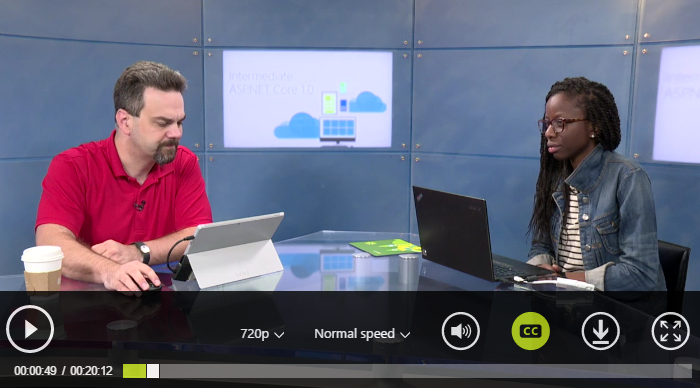 If you don't know the C# language yet, check out our online C# tutorial first, then watch the video. 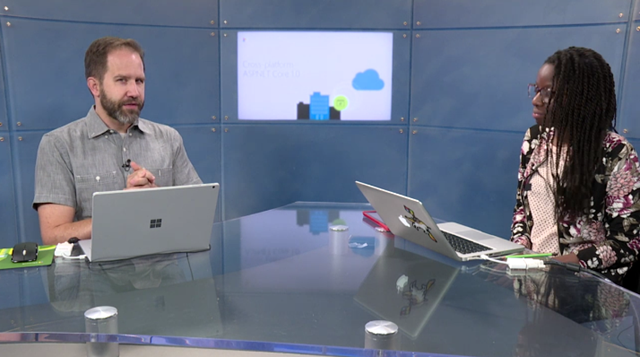 Join experts Scott Hanselman and Maria Naggaga, and find out how to build .NET Core applications on any operating system. Bring your web development expertise and roll up your sleeves, for this first in a three-part series. Do us a favor when you watch these, rate them (5 stars!) and SHARE them on your social networks. Hope you have as much fun with these courses as we had creating them! Thank you Scott and team. This training course is really helpful. I've been following along and straight away you have a .json project file here, but with my downloaded dotnet core I get a .csproj project file - and that makes it impossible to follow along! It looks like these were recorded in October 2016, before the decision to move from .json to .csproj was finalised? Since I can't get autocomplete of dependencies in the csproj form of the file everything is much harder. So to make these genuinely useful, would you consider including in the 'resources' tab an extra document or something to help interested people actually follow along in the csproj world? Without that, I think these videos are going to lead to more frustration than inspiration. Alex- Excellent point. I'll do a post on this and put something in there. When this is possible again, I think this would be great material for a "how to" post. Thanks for this helpful article.! Unfortunately only the first video was on vs code. I am working on linux so visual studio is not working on my system. Since you are editing al kinds of things in the solution and use a lot of automated referencing, I am not able to follow your course. Which is a shame, because it looks great. 1. Nuget is driving me crazy! VS2015 will respect the global location for nuget if It's legacy .Net, but NOT for .Net Core, it wants to put it elsewhere... That's bad, but what's worse is that the command line has another nuget cache, and they eat up way too much disk space on my surface! WHY so convoluted? 2. Isn't .Net Standard 2.0 due out soon? I guess most things are close, but reflection should be a lot easier. Not questioning the value of these classes, but the timing may be a tad off... just saying. Very good content - it's a pity that the MVA website is so unreliable (not responding right now)..